> How Does it Feel Defending Someone You Strongly Believe to Have Committed the Crime? How Does it Feel Defending Someone You Strongly Believe to Have Committed the Crime? We asked attorneys in the United States how it feels defending someone they strongly believe to have committed the crime. Attorneys will tell you everyone is innocent until proven guilty. But some of their clients might have committed a heinous crime and attorneys will tell their clients to take a plea bargain if they believe their clients will face a harsh sentence. The public might be thinking: "How do these attorneys live with themselves?" We hope our readers enjoy their answers. Part of being a lawyer is taking the oath of innocent until proven guilty. If you cannot do that, because it is the law, then don't be a defense attorney. Okay, sorry. Maybe this question hit a nerve, because I wanted to be a criminal defense attorney, and when I did an internship at Legal Aid, I almost puked when I saw a close friend who was a Legal Aid Attorney defend these 2 guys that you knew raped a mentally ill girl. Straight out of Law and Order in the 70's. When I confronted my friend, his answer was "everyone is innocent until proven guilty, that is the law"...I didn't have the guts to do that. Most people charged with crimes, if guilty, committed victimless crimes anyway. I don't feel bad about helping someone keep their life intact despite a bad law. For those who truly hurt someone else, most of them are good people who made a mistake. Helping them to minimize the damage so that they can do better in the future is a good feeling. For those who are bad people through and through, I am not a very good advocate for them. I will turn down such cases. It's actually quite easy. If I review the evidence and see there's nothing that I can do for the guy (no suppression issues), then I try and negotiate the best deal I can. If my client rejects it, then I don't lose any sleep at night if he loses at trial and gets a harsh sentence. For example, I recently tried a case where my client tricked the victim into giving him a ride, put a gun to his neck and made the victim drive to various ATM's withdrawing money, and then left my client naked in a bad part of town. I had no defense and there was nothing to suppress, so I encouraged my client to take the plea. When he refused I went to trial like he wanted, and slept soundly the night he was found guilty and sentenced to a lengthy prison sentence because I knew I had done the right thing by encouraging him to plea. I've learned at the University of Cambridge and the University of London Law Schools that criminal law is all about how one logically breaks down the anatomy of the defenses of the guilty mind, once the act of wrongful liability has been clearly established. It's all about the intent of the defendant inside criminal defenses. Good defenses are creative defenses that persuade 12 minds simultaneously, which is an extremely high-bar threshold, as to the innocence of the alleged guilty mind of the defendant. The great Alan Dershowitz of Harvard has taught me that criminal defense is about getting through a procedural process of just ten decisions, one of which is the decision of 12 minds simultaneously persuaded by a good criminal defense team to get to just one decision. 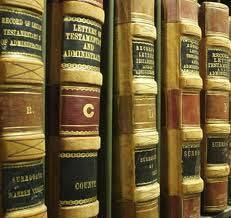 One misconception that people have about attorneys is that they are seeking justice in a case. Instead, they are seeking to convince the judge or jury that deciding in favor of their client is the most just result. They do this because attorneys (and most other people) firmly believe that no one should be imprisoned without being able to make the best defense possible. That is a safety net that provides us all with peace of mind and personal security. Accordingly, an attorney knows that even if their client may have committed certain acts, the attorney's conduct in putting forth the best possible defense is, at the very least, serving the purpose of ensuring that no one is punished without a thorough review of the evidence against them and the opportunity to put forth whatever evidence and arguments they can. An attorney therefore takes solace that although their job may not be popular with the public, they are fulfilling a vital role in our legal system and helping to maintain our civil liberties. I had so many jobs to choose from and numerous interviews. I would recommend it to anyone. LawCrossing Fact #37: Users can sign up to receive customized job alerts so they’re in the know when the kinds of jobs they’re looking for are posted.